Create your own Custom Shape BIC Mouse Pad. 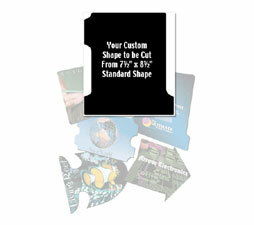 Start with one of three Standard Sizes as a template to create your Custom Shape. Die charge $150 . Imprint: Price includes a 4-color process imprint on a white surface. Click here for ordering guidelines.